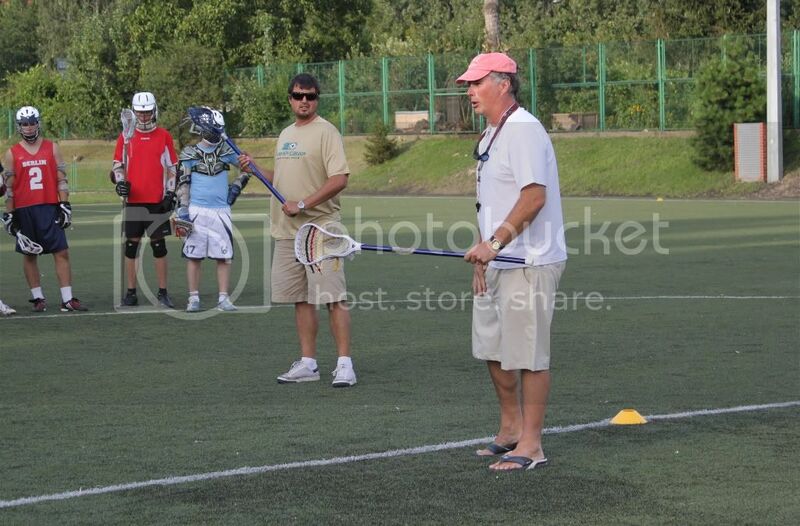 In the days of 31/7/2009 – 2/8/2009 two American coaches came to Poland: John Pirie and Matt Rowley. 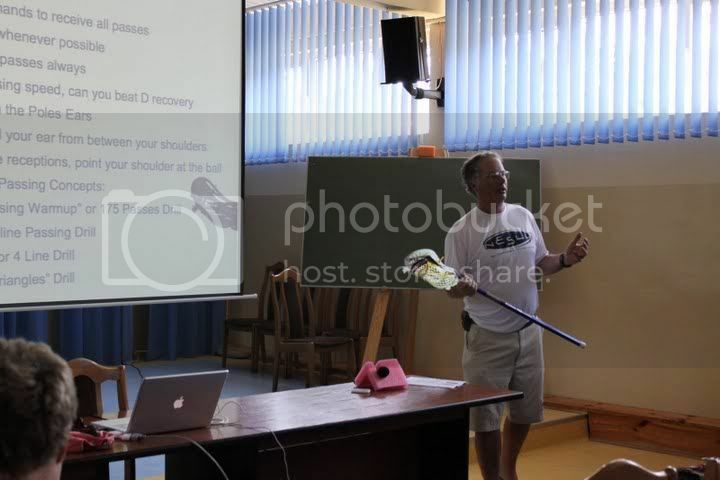 They conducted lacrosse clinics for Polish players in which a group of German players also participated. They came thanks to a consolidated effort from many individuals in the Polish world of lacrosse. In total about 50 people attended the workshops. 12 players from the Poznan Hussars showed up in Wroclaw for the training camp. We arrived in the capital of Lower Silesia (Dolny Slask) around 1pm and dispersed to our designated accomodations offered by the Kosynierzy. Friday’s lectures started with an opening in theory, on which we met the coaches and became familiar with the schedule for the upcoming weekend. The lectures were organised professionally. We gained new technical and tactical skills. The coaches conducted the clinics on „three levels”: first was the theory, followed by a demonstration on the field, and finally the execution of that particular exercise by the players. Everyone gave their 100% and the coach’s praise motivated everyone to work even harder. Control matches were held after every training session. The coaches divided the participants into teams: „White Team” and „Big Green Machine”. This was a rare occasion to be able to play a game on quite a high level. Altogether four games were played. On Sunday, after the last training session, the trainers as well as Tomasz Kedzia thanked the gathered players for coming. Both John Pirie and Matt Rowley praised the players for their involvement, skills and willingness to play. „Lacrosse in Poland is developing quickly. Many of you have potential to be good players. It will be an amazing moment for you, for Poland and the world of lacrosse, when you proudly walk out onto the field and hear the Polish national anthem.” Pirie said. The coaches recieved Poznan Hussars team jersies with the numbers 22 and 3. Everyone left in good spirits and with a larger luggage filled with experience. We wish to thank the coaches, the Kosynierzy Wroclaw and every player who attended for the time well spent and for organising the clinics on such a professional level. These sorts of meetings cause our passion to grow for „the fastest sport on two feet”.